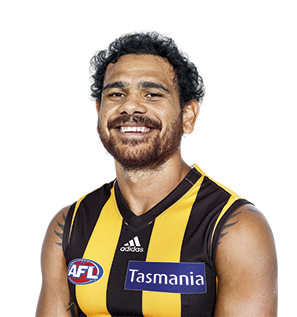 Cyril Rioli will line up against the Pies in Round 1. 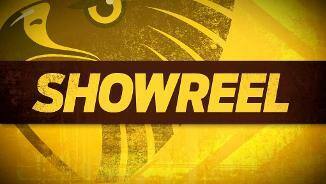 Hawthorn's Round 8 win was bittersweet, with two key Hawks leaving the field with injuries. Rioli should enter 2018 with a point to prove. A bit like the team, he started the season largely out of sorts, then injured his posterior cruciate ligament while flying for a mark against the Brisbane Lions in round eight and that brought about a premature end to his year. While spending half a season on the sidelines, a host of rival small forwards have supposedly gone past him, but the Hawks will be hoping the time on the sidelines and a big summer will have sparked his competitive juices. At his best, there is none better with his tackling, pressure and deadly execution close to goal. 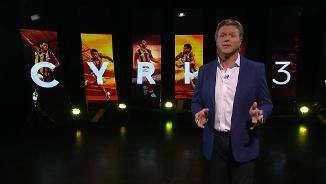 Rioli had a delayed start to the pre-season, granted compassionate leave from the club to care for his father following major surgery. Player honours: 2nd best and fairest 2009, 2015; Norm Smith Medal 2015; All-Australian 2012, 2015, 2016; NAB AFL Rising Star nominee 2008; premiership sides 2008, 2013, 2014, 2015. Brownlow Medal: career votes 44. 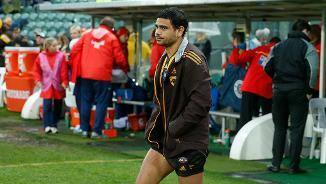 Draft history: 2007 NAB AFL Draft 1st round selection (Hawthorn) No. 12 overall.